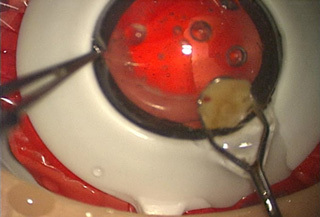 Kitaro® WetLab | Frontier Vision Co., Ltd.
KITARO WetLab is a tool designed to simulate phaco surgery using a phaco machine under a microscope in an operation room or wet lab, very similarly on the human eye, while KITARO DryLab is a tool designed to teach and practice the basic phaco surgery techniques at the desk without using machines. 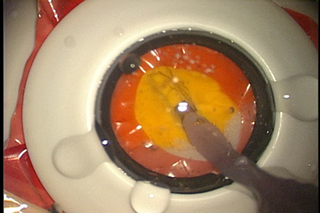 Irrigation bag (using tap water), and Drain system. No complicated preparation is required. 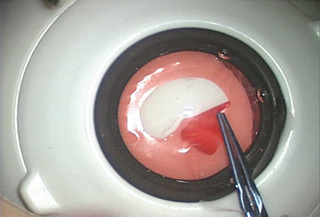 The artificial cataract lens of KITARO WetLab has the high-quality nucleus, cortex, anterior capsule, and posterior capsule. 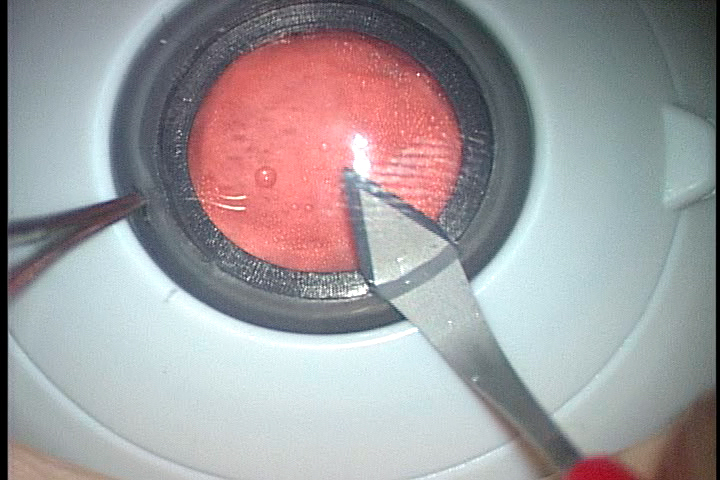 You can experience 3 types of nuclei varying in hardness (soft, medium, and hard). 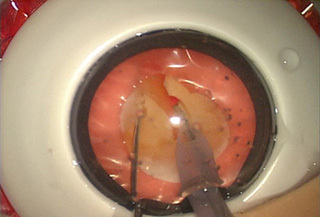 You can practice almost all steps in phacoemulsification such as CCC, all nuclear segmentation techniques, and even IOL insertion, very similarly on the human eye. 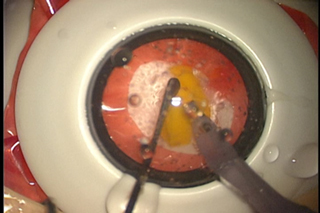 In addition, posterior-capsule rupture and nuclear dropping may occur, which allow you to practice intraoperative complication management. 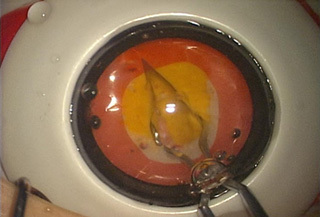 The high-quality artificial cornea same as the human cornea in thickness (500 μm thick at the center and 700 μm thick at the periphery) provides a realistic feeling of instrumentation. 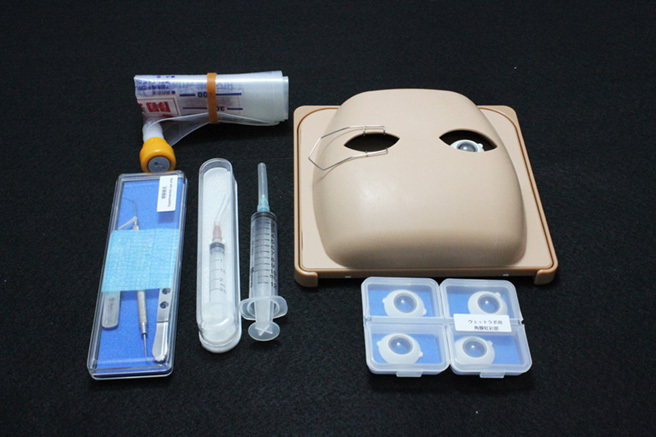 You can also practice self-sealing wound construction, AK, LRI, and suture.